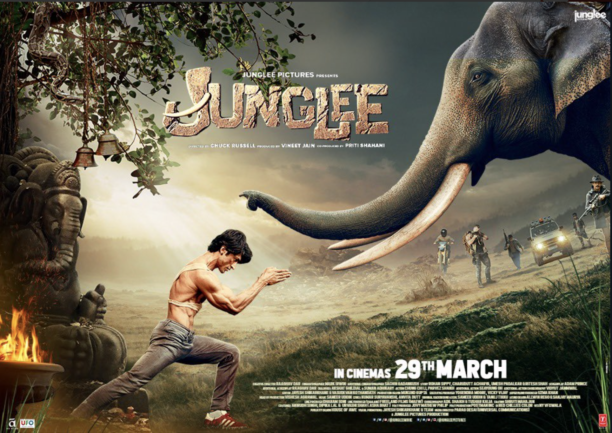 Junglee, who is direct-lee related to Bruce Lee loves elephants. He probably watched Haathi Mere Saathi many times during his childhood and grew up befriendship a forest-ful of elephants, one of whom Bhola is our Jungler Hero’s special buddy. Their reunion sequence is as elaborate as Devdas returning to Paro from London in Sanjay Bhansali’s Devdas. Tragically Junglee is directed by a foreigner who gets the privilege to helm a project toplined by a sinewy muscular hero who has father issues. Dad wants Jung- Lee to look after the family business, namely elephant rearing. But Jung-lee wants to do his own thing, and that includes some heavyduty kalaripayuttu in scenic Kerala. The film looks green. But feels dry and colourless. The problem here is with the dialogues ….Wait! Why just the dialogues which sound look they are being translated from English to Hindi in the speaker’s head before spoken…Everything in this primer on animal preservation looks and sounds wrong. And that includes Jamwal’s stunts. They seem far less commanding here than they did in Commando. Junglee is probably the worst film you will see this year. Or any year.If you like elephants and want to see a film that pitches them against a charismatic star then Haathi Mere Saathi is recommended. Not this, please!